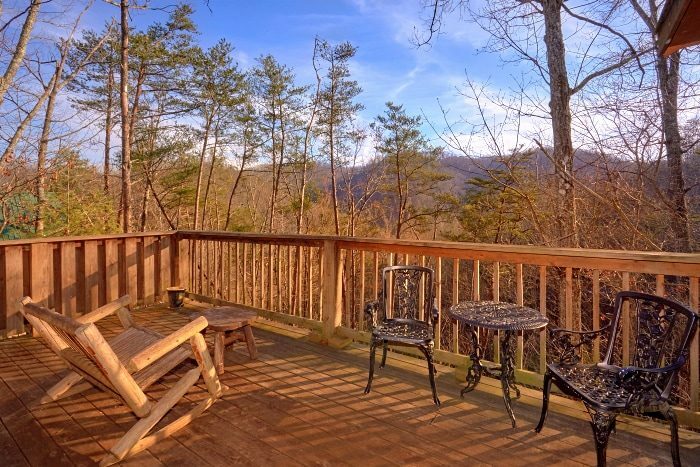 Searching for an affordable cabin with a picturesque mountain view? Look no further than "I Don't Want 2 Leave!" 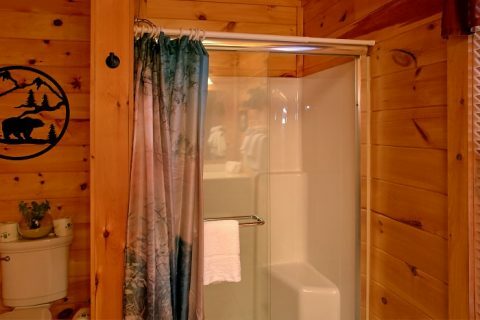 This secluded Wears Valley cabin provides one private bedroom and sleeping space for up to 4 guests. 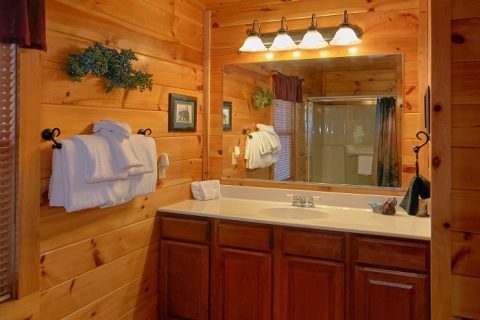 Whether you're planning a honeymoon trip or a budget-friendly family getaway, this log cabin is a great option. 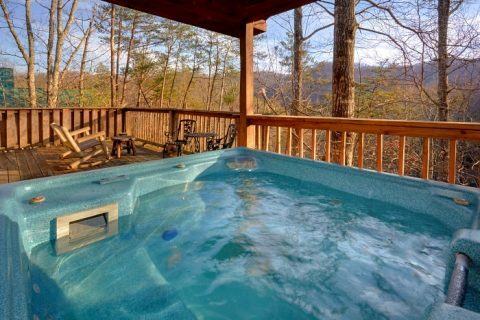 Better yet, this rental comes with everything you need to relax. 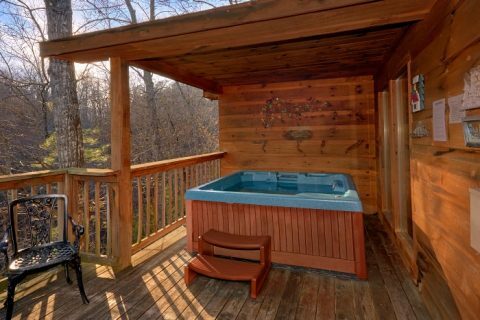 From the warm electric fireplace in the living area to the hot tub on your cabin's deck, you can truly unwind during your stay. 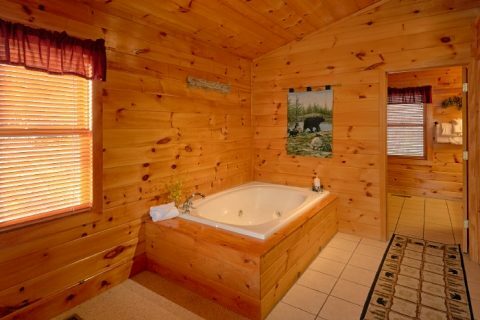 A jacuzzi tub also offers guests the chance to rest their weary bones in privacy. 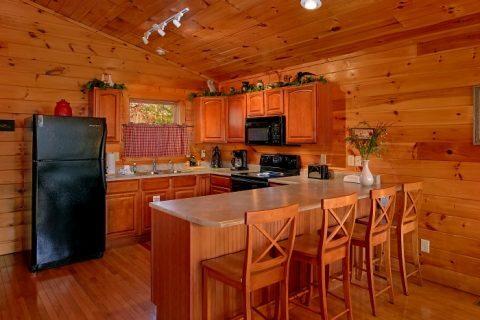 When you aren't enjoying your cabin's mountain view, you could sit back for a movie night in your cabin's comfortable living area. This rental also comes complete with plenty of practical amenities like the full kitchen that helps you save on costly meals in town. 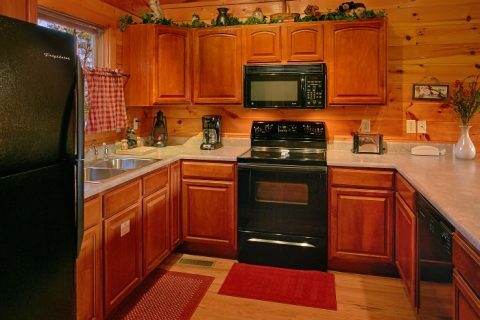 Additionally, this 1-bedroom Smoky Mountain cabin comes with a charcoal grill and a washer/dryer. When you aren't kicking back at your cabin, you'll find that great local attractions are only a short drive away. By driving through Wears Valley, vacationers can reach popular sights in the Great Smoky Mountains National Park like Cades Cove. 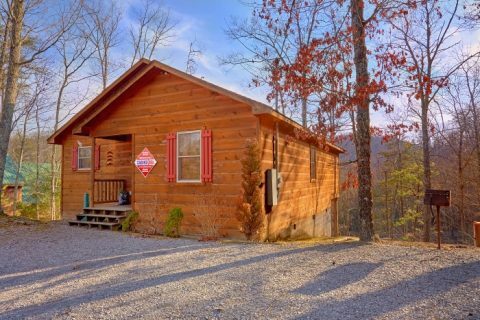 Dollywood, the Pigeon Forge Parkway, and Downtown Pigeon Forge are also within easy reach of your cabin. 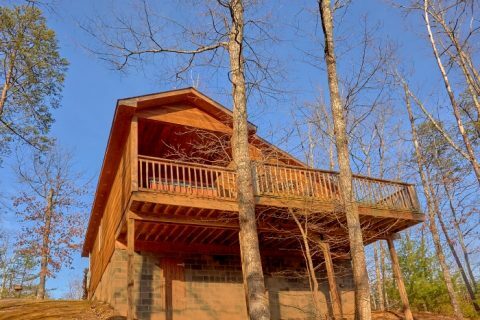 Reserve your Wears Valley cabin with a mountain view today to earn a 15% discount on your nightly rate! Simply book online with Cabins USA Gatlinburg to start a fantastic honeymoon or romantic getaway in the Smokies today!